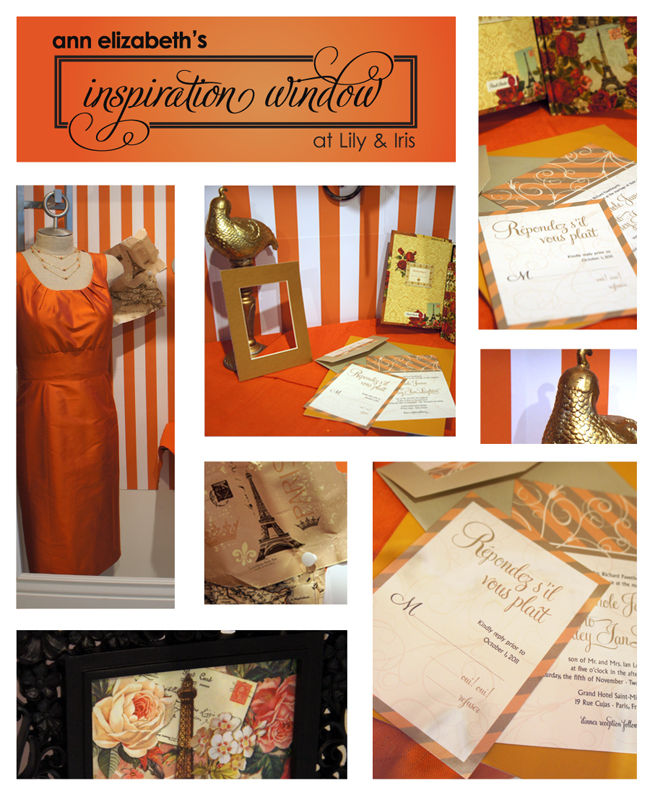 If you’ve been to Lily & Iris lately, you would have noticed our fabulous, orange display in their Inspiration Window. If you haven’t, this post is for you, because the display recently came down. We loved that hint-of-vintage feel so much that we couldn’t resist giving you one last look! Check it out for yourself!